Managed to find myself a brand new AU reservoir by sheer luck at a Ford wreckers. Took my VT reservoir out to make sure it will fit. Now to fit it up when I get home. 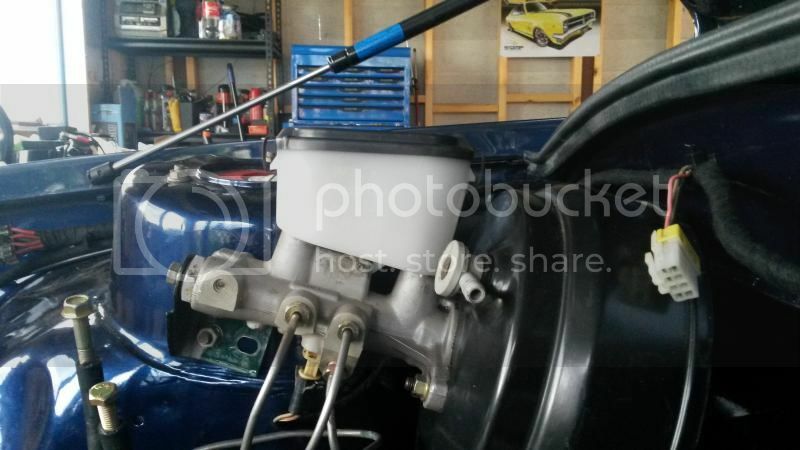 No wreckers or private seller wanted to sell me the reservoir separately, only with master cylinder along with it. Understandable. Can confirm that the AU reservoir is a perfect fit. Everything lines up perfectly. Weird? I run a VS reservoir on mine, the only thing is the locking screw doesn't line up, I just re-drilled for a M5 bolt/nut. Obviously the Au one seems a better option though. Im using a Series III VS reservoir from a Stato and it bolts up fine, didnt even need to redrill for that bolt..
Found another way of making a vt booster adapter bracket from the one on a vs plastic booster..always knew about it but never considered it as I had the older way using a pre vs bracket fully worked out but nowdays its getting harder and harder to find the old brackets so I sused out the vs bracket and found that there was a little less cutting and welding work but still precision to get it to fit. You have to drill 4 x 5/16 holes 80mm across and 60mm down in the base to accept the studs of the vt booster.Mounting holes on original bracket are offset and not square with cylinder so you have to turn the vs bracket anti clockwise so mounting studs on new booster square up so when mounted up the master cylinder is square and top of reservoir is level. This will give you a small margin to file the holes a poofteenth to fit. 2 of the 4 holes end up being very close to the edge of the bracket so some filling out to get clearance for the nuts to clear is required ...you could just bolt it up and it would probably be ok but I reckon you need to weld a plate on the bottom for strength and to give it a professional look. 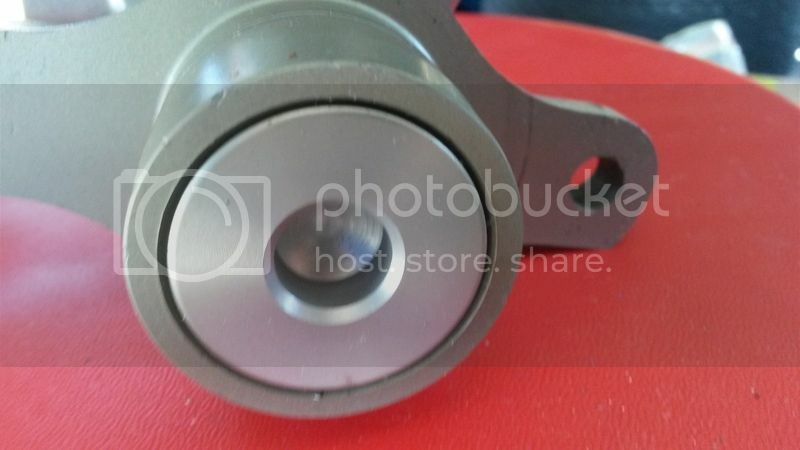 I have seen on Ebay a complete setup and I this is how the bracket is done (- the plate) and he is quick to pat himself on the back but in his pictures of it he is careful not to show the bracket as its this easy. I have sold many setups on this site and on ebay from time to time and sell them at much less money but I dont hide anything and always give enough info that if you have enough confidience and think you can do it.... save yourself some money(lots) and do it yourself. You still have to weld up and redrill the pushrod hole in the booster you use but that isnt a major deal with some welding skills and patience. Last edited by markovr; 27-05-15 at 17:49. You still have to weld up and redrill the pushrod hole in the booster you use but that isnt a major deal with some welding skills and patience. What are the dimensions for re-drilling the pushrod with the extra plate welded on? bolt the modded bracket on the booster centralise shaft and measure up centre of shaft from boltup face of bracket up the rod and drill the new hole centre at 112.5 to 113 mm ...hole is one size bigger than 3/8. This will put pedal height in the same place as before. On another topic I also stock the BRAKE LINE ADAPTERS and can suppy as many as you need. Last edited by markovr; 27-05-15 at 17:40. Has anyone come across this issue before. I am replacing the master cylinder which is from a VY commodore. I ordered a new master cylinder to suit VY commodore and when I went to bolt it on the rear of it is different to the one I took off. the rear is shallower than the one that came off. The master cylinder looks the same otherwise but the front of the one that I took off has VX stamped on it and the one going on has VY. I definitely removed the whole booster and master from a VY. Is it simply a matter of removing the screw from the booster to allow it to bolt up? Cut the head from the adjustable bolt you just removed and put a small slit into the end of it with a hack saw, so you can use a straight blade screwdriver to screw it back into the pushrod on the booster. Note: You must cut the head of the adjustable bolt short enough so it can become level with the pushrod on the booster. 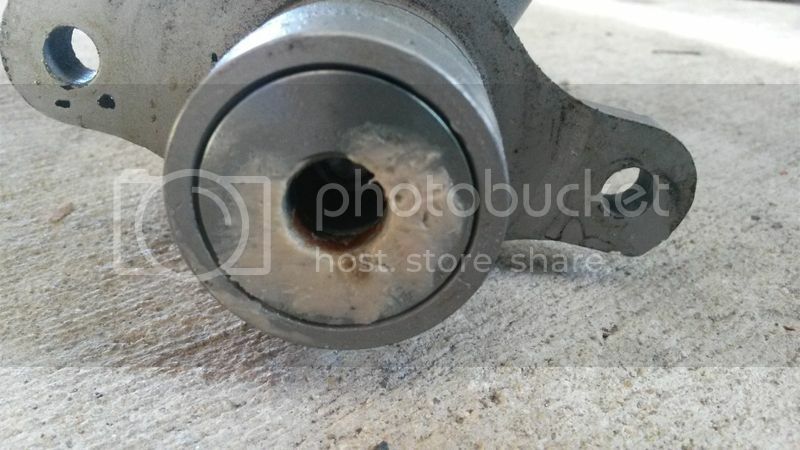 Screw the bolt back into the pushrod and use locktite to lock the thread on it. 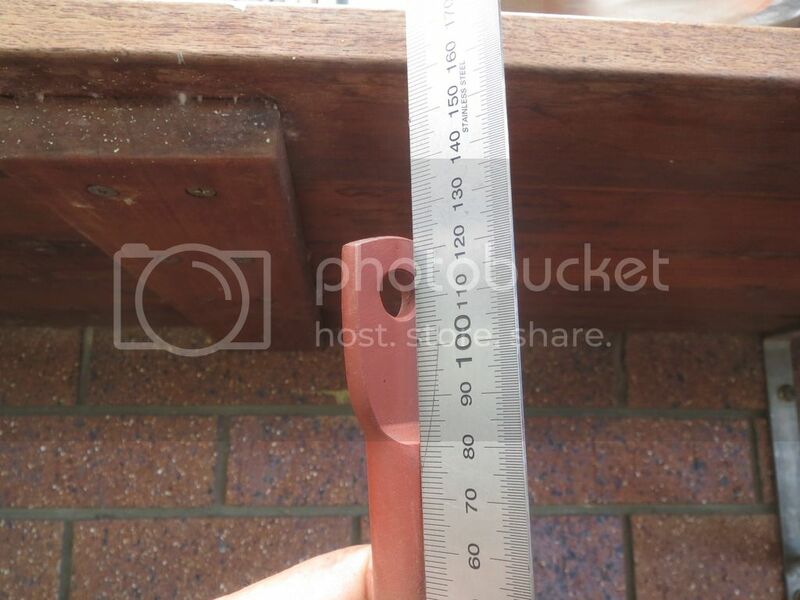 Note: Make sure its 100% level with the pushrod itself. 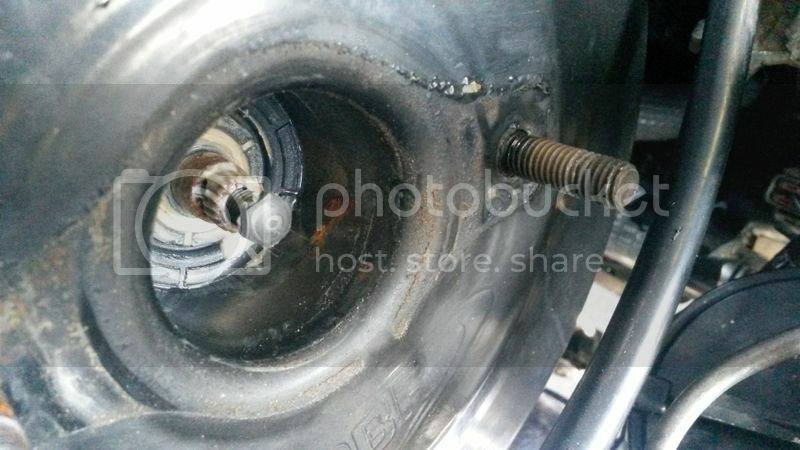 The only reason we screw the bolt back into the pushrod is to stop the hollow push rod from collapsing, it may fatigue over time from it being hollow. The bolt will strengthen it. So please don't just leave it out. Turns out I had the wrong master cylinder. The AWD VY Crewman, Adventra etc has a different master cylinder. Got the right one and it fitted up fine. does anyone know if it matters if the AU reservoir is from a Series 1 or 2? Went to a wrecker and he said there is a difference between the brake systems on S1 & S2, or is the reservoir just the same ? Hoping I can do this to my vh with parts from a vu? i have this problem... vt master, vs booster, vl turbo rotors and calipers.. brake warning comes on in dash and i noticed the rear hubcaps were very warm and my fronts were cold after a drive, what is happening?